I've posted this pic on my FB page beacause I AM OBSESSED with it!! 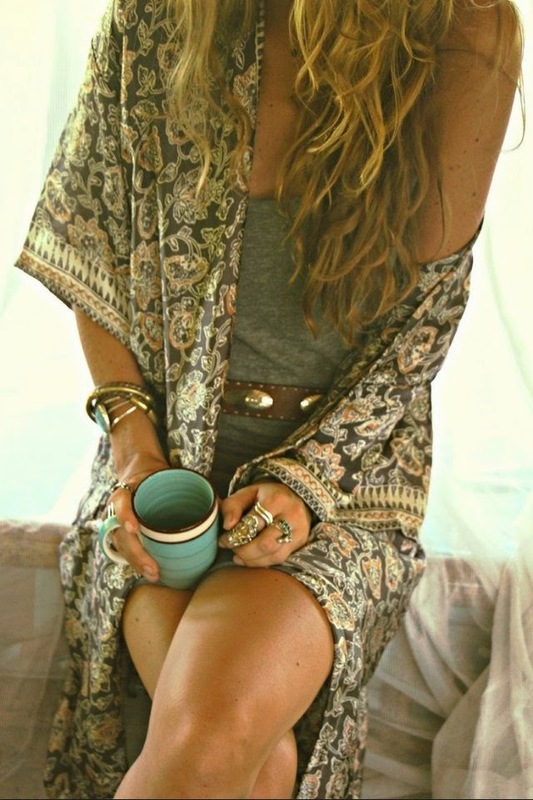 I just love everything about it, the easy breezyness feel, the jewelry, the belt, the beach wavy hair, the mug and THE KIMONO! 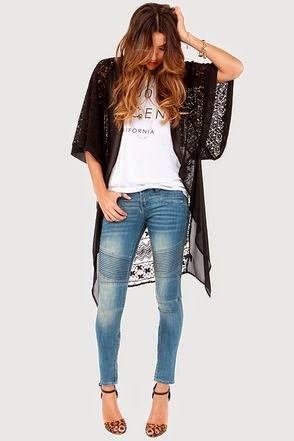 A Kimono is a no-brainer for the beach boho girl but I love how different styles can take you to different eras and different looks. My obsession began when I started binge watching Boardwalk Empire and all the ladies wore them in their courtesan quarters. Not, that I condone that behavior but those Gatsby era courtesans really knew how to be alluring and stylish. Another thing those Boardwalk Empire girls knew how to style was lace. Lace can be nice, naughty and chic. I'm digging the rock and roll vibe above, paired with some moto jeans, a tee and voilá! I've narrowed my Kimono wish list down to these 3 types for now. Which Kimono style is your favorite?